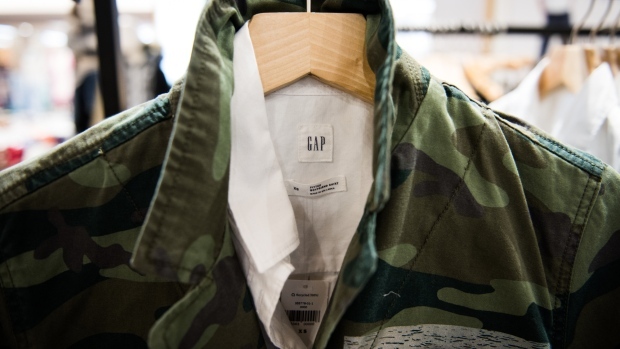 (Bloomberg) -- Retailer Gap Inc. has named Neil Fiske as president and chief executive officer of its namesake brand as it looks for a comeback amid declining mall traffic, operational missteps and disappointing growth. The search for a new top executive for the brand began in February, when the company announced Jeff Kirwan would exit the post after just over three years. The Gap brand has been the company’s most troubled division, with a slew of management changes and shifts in strategy. The parent company has been working to fix issues at the brand, including late deliveries that resulted in excess inventory the retailer had to discount in order to sell. The market reaction was muted, with shares initially rising 0.4 percent in aftermarket trading before returning to where they’d closed the day’s session. Shares are down 5.4 percent this year. The company’s shares fell the most in 18 months in May after it reported that first-quarter sales at Gap-branded stores slipped more than analysts had anticipated. The results prompted CEO of the parent company Art Peck to say he “was not pleased with the performance.” Gap has become increasingly dependent on its Old Navy and Athleta chains, and hasn’t been able to translate growth there into success at its eponymous brand. “Neil brings significant retail and apparel experience to Gap Inc. and a track record of transforming and repositioning brands,” said Peck. Fiske most recently served as CEO at surfwear company Billabong International. Prior to that, he held CEO roles at outdoor outfitter Eddie Bauer and Bath and Body Works, Gap said in a statement. Fiske will begin his new post on June 20 and will report to Peck. --With assistance from Lindsey Rupp.